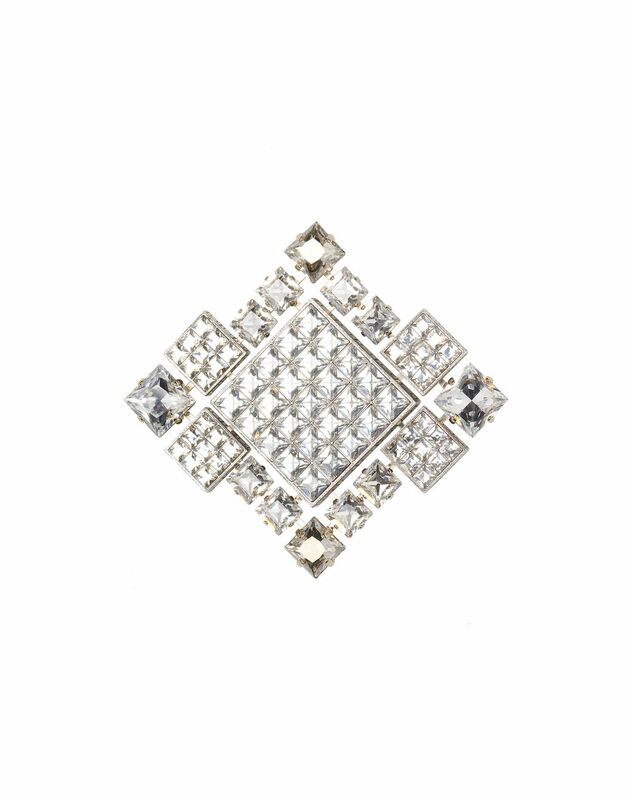 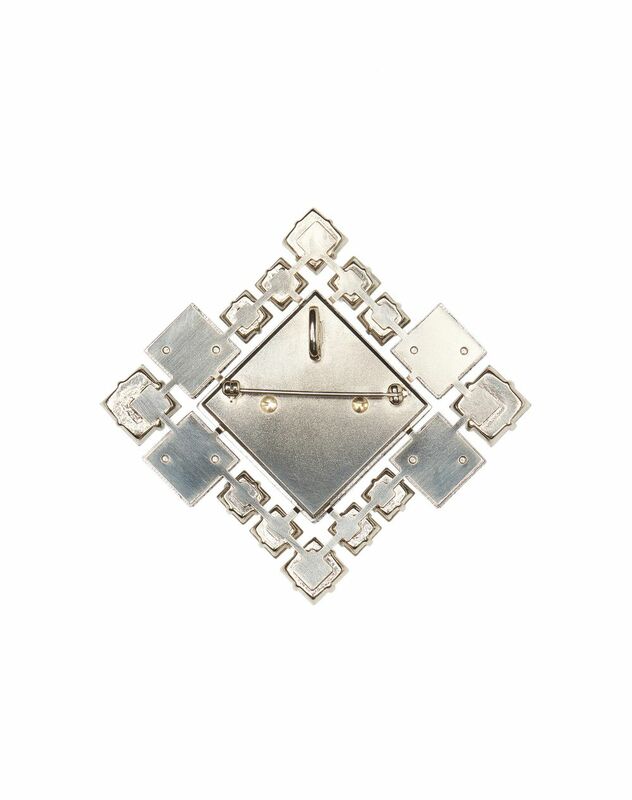 “Diamond Square” brooch composed of crystal-colored Swarovski crystal diamonds, featuring a detachable leather strap to make the piece both a necklace or a brooch. 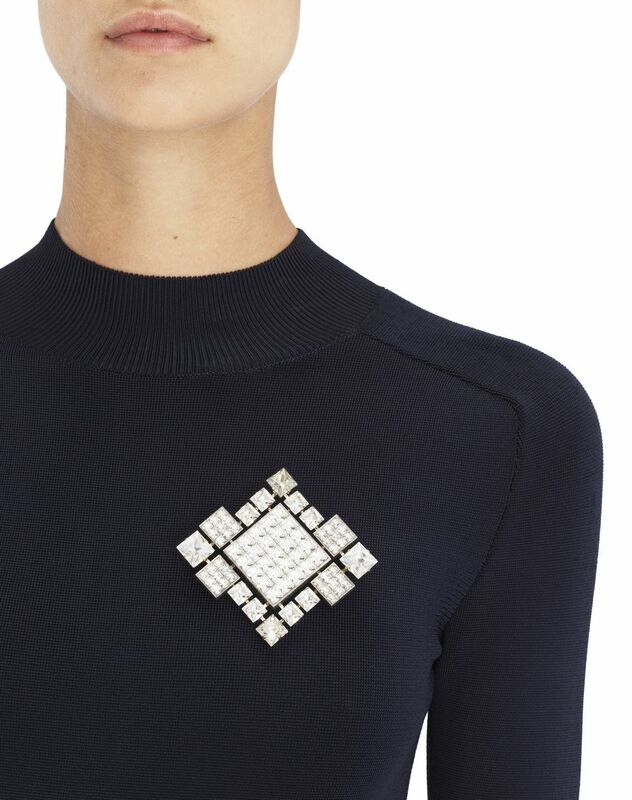 Inspired by the Op Art movement, Lanvin is offering this brooch-necklace as part of its Winter 2018 Pre-Collection. 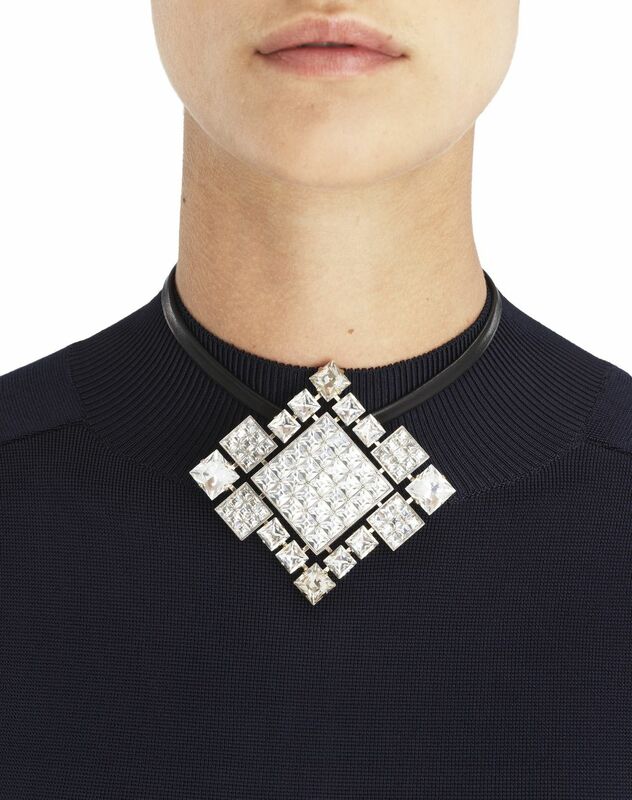 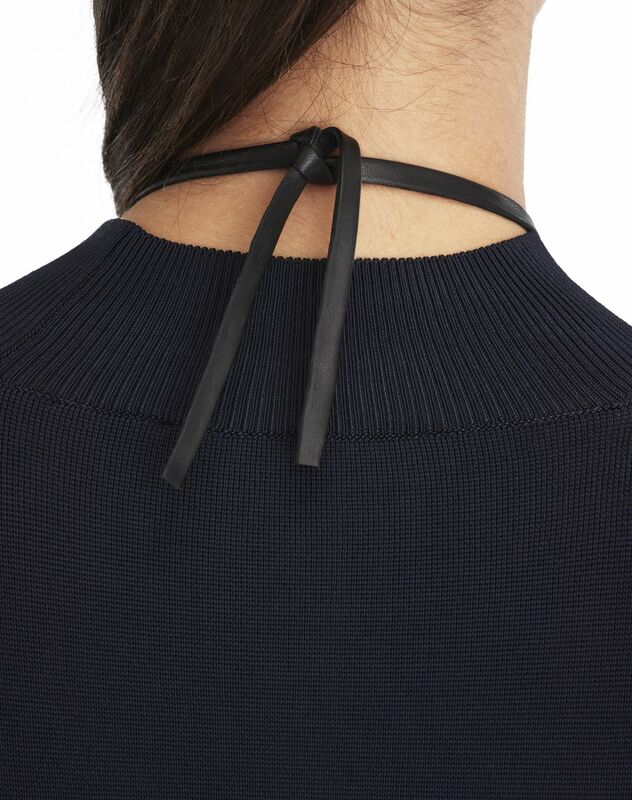 This dynamically graphic piece can be worn and styled in various ways. 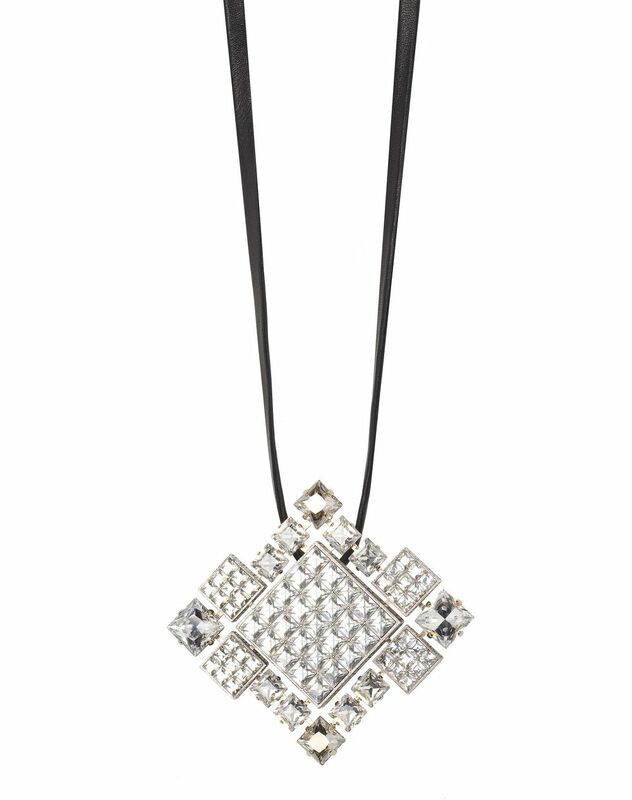 The different sized crystals add elegance and sophistication to this piece.